Eva Noack-Mosse, Last Days of Theresienstadt, trans. Skye Doney and Birutė Ciplijauskaitė (Madison: University of Wisconsin Press, 2018). In October 1973, Eva Noack-Mosse wrote to her cousin George L. Mosse about her ongoing quest to publish her detailed account of her imprisonment in Theresienstadt in the final months of the war in 1945. Regrettably, Eva passed away in 1990 and never saw her memoir in print. 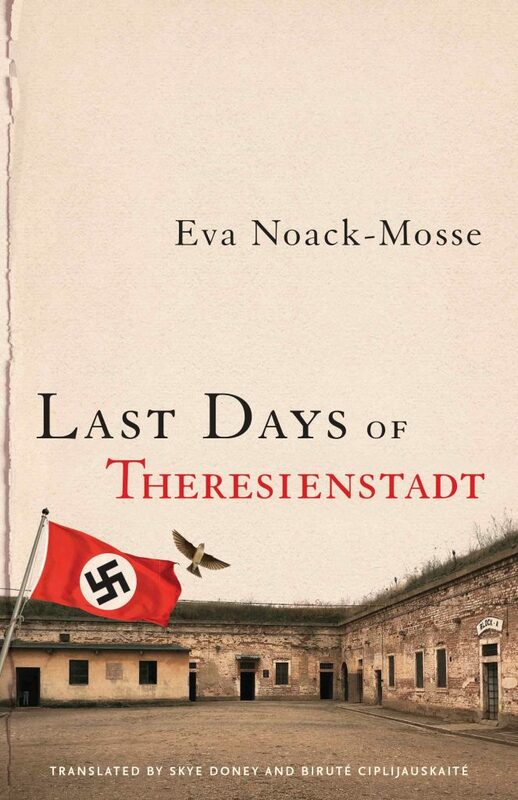 But in a fitting tribute, the George L. Mosse Program in History and the University of Wisconsin Press recently published an excellent annotated English translation of Eva’s important memoir titled Last Days of Theresienstadt that hopefully will reach a wide audience. Eva’s own assessment of her work was too modest when she wrote to Mosse in 1973 that her manuscript was just “one more voice in the chorus of much documentation” about the Holocaust. In fact, the opposite is true, as we still know too little about the lives and experiences of “privileged” Jews like Eva in Nazi Germany. The Nazis designated Eva as “privileged” on account of her marriage to her non-Jewish German husband, Moritz Noack, and for a time, it meant that Eva was exempt from the most pernicious antisemitic measures in Nazi Germany. But as Eva makes clear in the opening pages of her memoir, her “privileged” status afforded her little protection against the persistent and arbitrary violence and persecution at the hands of police, Gestapo, and other Germans. In 1941, the family therefore moved from Berlin to a village in Bavaria. The reason for the move was simple: “to remain alive during the Third Reich.” Where “privileged” Jews lived and whom they encountered in Hitler’s Germany indeed could mean the difference between life and death. Another couple from Berlin, Erna and Gustav Becker, were not so lucky. 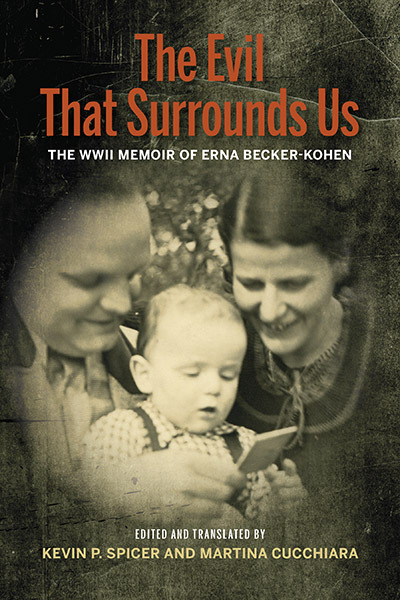 Like Eva, Erna Becker-Kohen left a gripping memoir about the devastation the Nazis wrought on her intermarried family. Last year, my colleague Kevin Spicer and I published an annotated English translation of Erna’s memoir titled The Evil That Surrounds Us: The WWII Memoir of Erna Becker-Kohen (Indiana University Press, 2017). Reading both Eva and Erna’s accounts, I was struck both by the many similarities as well as the marked differences of their experiences, which is one reason why each diary and memoir of this group of Jews is of such great importance to scholars. A few brief examples illustrate this point. Both Eva and Erna described their persecution at the hands of local officials and neighbors, the arbitrary police searches of their homes, the perpetual fear for their safety and lives, and their escape to Southern Germany. Erna wrote at one point that “the many acts of cruelty and humiliation threaten to suffocate me,” and her situation becomes untenable as the war dragged on. But Erna almost waited too long to escape Berlin. In 1943, Erna still resided in Berlin and in March that year, the Gestapo arrested her in the course of the so-called Factory Action (Fabrikaktion). Although for weeks Erna had been living in fear of deportation, nothing prepared her for the terror of opening her door to a Gestapo agent that day. Historians disagree about the regime’s intention toward “privileged” Jews during the Factory Action, and Erna indeed was released soon after her arrest. But Erna leaves readers in no doubt that the Factory Action marked an escalation in the persecution of “privileged Jews,” and thereafter the Gestapo stepped up its harassment of the Beckers. In June, Erna and her young son Silvan finally fled south. Eva Mosse-Noack had left Berlin two years earlier and was able to evade the Factory Action. Eva and Erna’s experiences diverged further in the final months of the war. Whereas Moritz returned home soon after his labor summons, Gustav was forced to perform heavy excavation work at the Leunawerke near Halle, Germany. Conditions were horrendous, and Gustav contracted a life-threatening case of skeletal tuberculosis. Erna, in the meantime, wandered from village to village in a futile search for safety. She never received her orders to report for labor deployment in February 1945 and was liberated by Allied forces in May 1945 in Pettnau in Tryol. The bulk of Eva’s memoir chronicles the horrendous final months of the camp, where the “SS held all the strings in their hands,” and “whenever they let the strings of a person drop this meant deportation, death, the end. Off!” As a journalist, Eva was meticulous in her observations and methodical in the collection of evidence at the camp. She captured the maddening race against time, the daily fight to stave off illness, vermin, exhaustion, and death just long enough until the war ended. The Allies’ advance dominated prisoners’ lives, and Eva’s impatience is evident in an entry from April 1945 when she wrote that “we would have preferred to stand behind the armies and push every single Allied soldier forward.” Each additional day was torture. In general, men suffered more, both bodily and spiritually, than did women. They were exposed to more intense hunger; even when their wives gave them a part of the pitiful food they received, it was not enough to satisfy their hunger. They were less resistant. They contracted and died from diseases which the tougher women withstood. They had greater difficulty in adjusting; they suffered more from the change in their lives. So, for instance, a lawyer suffered terribly from the fact that he had become a street sweeper, more than a woman, formerly a chemist, who now worked in the laundry. Scholars no doubt will come to appreciate Last Days of Theresienstadt as a valuable contribution to ongoing debates about the Holocaust as a gendered experience. Erna Becker-Kohen and Eva Noack-Mosse’s memoirs thus are more than historical narratives, however excellent. Both authors intended them as moral reckonings. Eva, too, holds her readers to account, admonishing them not to close their eyes to injustice and “never allow one’s conscience to go to sleep.” Antisemitism once again is on the rise in Germany and the United States, and I am also writing this blog post the aftermath of the mass killings at the Tree of Life synagogue in Pittsburgh in October 2018. Moreover, the most vulnerable population among us, refugees fleeing war and violence, are dehumanized in the political discourse and refused entry. Sadly, neither Erna nor Eva’s messages have lost any their poignancy and urgency. Noack to Mosse, 31 October 1973, in Eva Noack-Mosse, Last Days of Theresienstadt, trans. Skye Doney and Birutė Ciplijauskaitė (Madison, WI: University of Wisconsin Press, 2018), 133-34. Noack-Mosse, Last Days of Theresienstadt, 11. Kevin Spicer and Martina Cucchiara, ed., The Evil That Surrounds Us. The WWII Memoir of Erna-Becker Kohen (Bloomington, IN: Indiana Universtiy Press, 2017), 54. Noack-Mosse, Last Days of Theresienstadt, 15. Spicer and Cucchiara, “Introduction,” in The Evil That Surrounds Us, 22. Spicer and Cucchiara, The Evil That Surrounds Us, 126. Noack-Mosse, Last Days of Theresienstadt, 126. On rising antisemitism in Germany, see, for instance, “Beauftragter in plant neues Antisemitismus-Meldesystem,” Die Zeit, 4 October 2018. Martina Cucchiara received her Ph.D. in Modern German History from the University of Notre Dame in 2012 and at present is associate professor of history at Bluffton University in Bluffton, Ohio. She has been awarded an Eli Lilly Presidential Fellowship at Notre Dame as well as a Charles H. Revson Foundation Fellowship at the United States Holocaust Memorial Museum in Washington, D.C. She has published in European History Quarterly, the current volume of Lessons and Legacies, and is the co-editor and translator of The Evil That Surrounds Us: The WWII Memoir of Erna Becker-Kohen (Indiana University Press 2017). 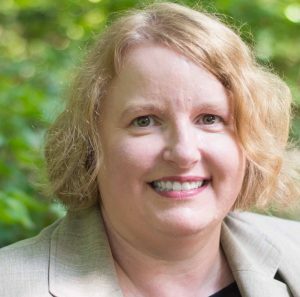 She currently is completing her book manuscript on the School Sisters of Notre Dame in Nazi Germany.